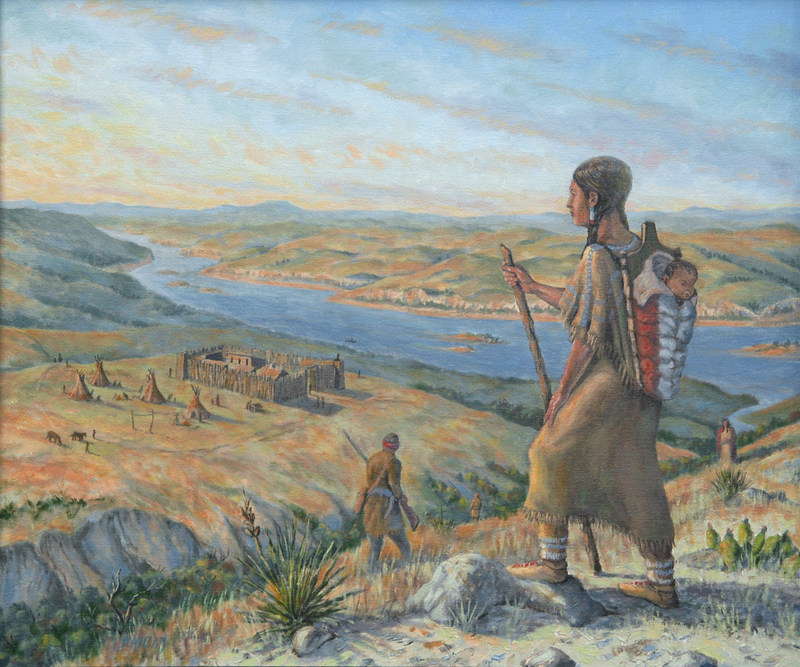 This painting visualizes an imagined moment from the little known last chapter in the life of Sacagawea, the famous Shoshone guide who accompanied Lewis & Clark on their journey to the Pacific. This painting presents her, (with daughter Lizette) gazing down on Fort Manuel, an early Missouri River fur trading post. It is late afternoon on a fall day in the year of 1812. Sacagawea died at Fort Manuel in December of that year. The site is located near present day Kenel, SD.